The active ingredients in whitening products are carbamide peroxide or hydrogen peroxide. When in contact with your teeth, these products remove surface stains and also lighten the color deep into the tooth. Whitening can be done in a single appointment at the dental clinic or at home over a period of about two weeks. 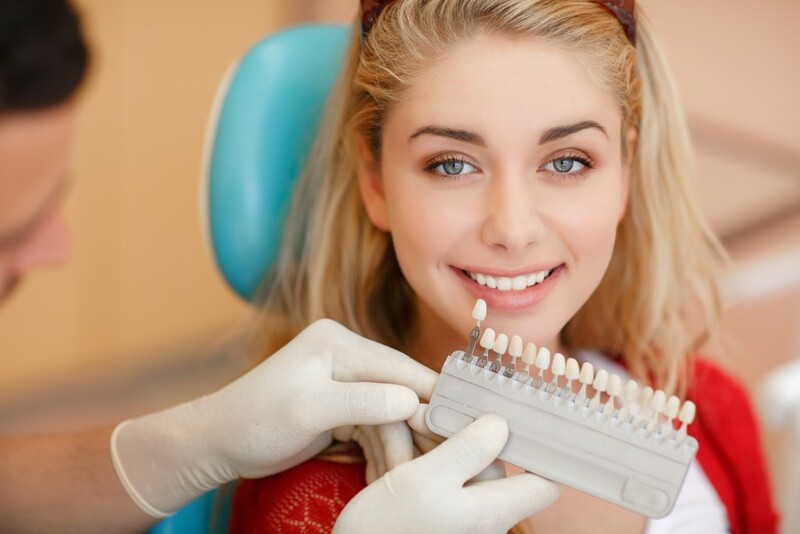 Before a teeth whitening treatment, it is necessary to have your teeth cleaned and to undergo a comprehensive dental examination to make sure that you do not have any defective restorations or cavities. Your dentist will also determine the cause of your tooth discoloration which is crucially important to ensure the success of your treatment. The color change can be superficial, meaning that it is caused by tartar and plaque accumulation on the tooth. These deposits become colored over time due to frequent consumption of tobacco, coffee, tea or red wine. A simple teeth cleaning and polishing can give you a satisfactory result. In other cases, the staining comes from the enamel and dentin and is caused by natural aging, tooth decay, consumption of tobacco and some medications. Your dentist takes an impression of your teeth to make a mold. This enables the dentist to make plastic gutters that are perfectly adapted to your teeth. A small amount of carbamide peroxide gel (16%) is placed in the gutter which is worn daily for 60 to 90 minutes on your teeth. The treatment lasts an average of two weeks but may extend for a longer period to get satisfactory results if the staining is tenacious. For those wanting immediate results, we also offer teeth whitening sessions at the dental clinic.